A new round of xenophobia at the end of February in South Africa was accompanied by violent demonstrations led by native-born South Africans and counter-demonstrations by immigrants now resident here. This time anti-South African demonstrations broke out in Lagos, Nigeria, prompting diplomatic meetings between both countries’ foreign affairs ministers. As the smoke clears, questions must be asked about why this civil disruption happened again. It is easy to point fingers: The intolerance of ordinary citizens and idiotic and poorly chosen statements, excuses or denials by politicians from all parties also stand out. The language of xenophobia has been frequently put into play in recent months: that foreigners are stealing South Africans’ jobs, running drugs and prostitution rings and are the main perpetrators of a host of other crimes, too. 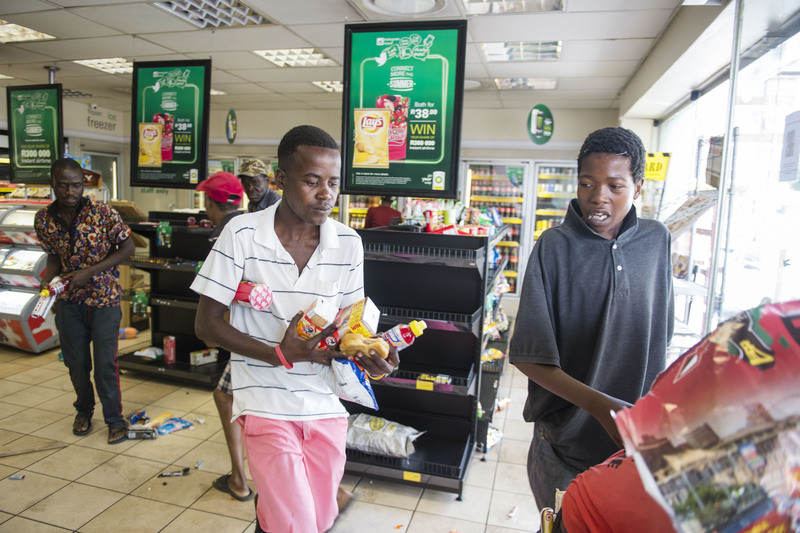 Are Nigerian, Zimbabwean, Pakistani and other immigrants “stealing” jobs from South Africans? Closer inspection suggests that they are actually creating jobs, not just for themselves but for the South Africans they employ. Many are even prospering, with many able to start up businesses ranging “from small convenience stores to wholesalers.” This has been a source of resentment, with many South Africans envious of the success of immigrants or objecting to being employed by “foreigners.” But their success compared to native born South Africans often boils down to better educations and a more entrepreneurial mentality than South African counterparts. If this is so, is this the immigrants’ fault? The Economist reports that “in a league table of education systems drawn up in 2015 by the OECD club of mainly rich countries, South Africa ranks 75th out of 76.” According to an article in The Economist, many of South Africa’s educational gaps indeed can be linked to apartheid. “The Bantu Education Act of 1953,” it states, “set out to ensure that whites received a better education than blacks...who were to be educated only enough to be ‘hewers of wood and drawers of water.’” This meant that black students in South Africa also received about a fifth of the funding of white students. But 23 years of post-apartheid education strangled by bureaucracy, crippled by self-interested teachers unions and battered by corruption has not created a new generation of well-educated and entrepreneurial young South Africans. Two decades is surely enough to clear away the worst of the legacy of apartheid education and create a more effective alternative. This has not happened—but this is a social problem that cannot be laid at the feet of “foreigners” who have no influence on education policy. As to the question of organized crime, the picture is complex. While it is true that after 1994 foreign-based crime syndicates moved into South Africa—South American drug cartels, the Russian mafiya, Chinese triads, as well Nigerian and other syndicates from elsewhere on the continent—they did not exactly enter virgin territory. South Africa has a long history of local gangs and crime organizations—many of which formed alliances with the new arrivals in the more open society that emerged after 1994. All organized crime groups have benefited from a poorly-trained and underprepared police service that has largely served as a crowd control mechanism, subject since 1994 to internal crises and general decline in morale further undermined by political appointments at its highest echelons. There is sadly also considerable evidence of endemic corruption throughout the service. NGO Corruption Watch also found, in a study of about 300 foreigners, that all had “complained of extortion, threats and solicitation from government officials.” Last month, South African President Jacob Zuma warned about the dangers of corruption, stating that this system of “bribes for permits” posed a major risk for South Africa. Similarly the problem of illegal immigration lies in public policy and practice. Labyrinthine immigration laws make legal immigration difficult, as do confused policies over refugee status and corruption in the public service. This entitlement mentality is spurred on by the promises of politicians and the growing sense that those who lead do not really care about average South Africans except as vote fodder. But unwillingness to express disaffection by voting for an opposition party means that there is little impetus by politicians to do what is necessary—improve education, fight police and public service corruption and create conditions to build the economy. The disaffected need a scapegoat; the immigrant is a handy target. For a time scapegoating may make one feel better, but it changes nothing.